Our Government Does Help via the U.S. Commercial Service by offering support for doing business in foreign countries. Were you aware? A couple of years ago I had the good fortune of being introduced to Catherine Mayer of the United States Department of Commerce, Commercial Service division in Frankfurt, Germany. Now before you repeat the threadbare joke about being from the government and wanting to help, let me tell you about my experiences with Catherine and what she does. In hopes of encouraging American businesses to export, our government has set up Commercial Service offices in key cities around the world. Staffed with dedicated people who know the local government, language, customs, laws and general business environment, they are a tremendous resource for American companies that want to expand their business into new territories. Want to meet a prospective client in their country? On occasions, Catherine has arranged for a meeting invitation to be sent from the American Consulate and even offered meeting space in Consulate buildings. I thought that would be pretty impressive to most foreign buyers. Last year at Domotex in Germany, Catherine arranged for Alexander Kansky, a trade specialist living in St. Petersburg, Russia, to speak to American exhibitors about the growing markets of Russia and Eastern Europe. One large American manufacturer scheduled a follow up trip to Russia enlisting Alexander to help schedule appointments. Whether it is data on market size, the names of companies involved in a certain industry sector, amount of duty that will be charged, translation of documents or environmental requirements, our US Commercial Services staff is your right hand at locations around the world. They have a range of websites from the Commercial Services Trading Partner site (a good place to start), to the International Trade site. Interested in a specific country? They have a website dedicated to almost every country around the world. For example, check out China and Germany. Come to Domotex in Hannover, Germany, January 16 – 19, 2010, contact Catherine to pre-arrange meetings with potential partners in Germany or set up an appointment to discuss your needs in person. Can’t make it to Europe this Winter? No problem. 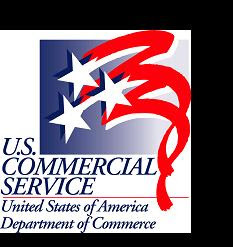 Commercial Services offers a range of services via the Internet from a beginners guide to exporting to sophisticated webinars on timely subjects, including seminars about exporting or importing. Visit The Global Design Build Products & Services e- market Express, too, so you can receive notification of research, events, business opportunities and webinars relevant to your global interests. Anyone interested in expanding their business should partner with the experts in Commercial Services and take the uncerrtainty and anxiety out of expanding into unfamiliar territory. Some background on Catherine: she received a B.S. in Apparel Production Management from the Fashion Institute of Technology in New York and attended graduate school at New York University. She worked in the apparel industry in New York in the capacity of patternmaker, industrial engineer, and technical manager. After moving to Germany in 1992, she received her German language certificate from the Goethe Institute and worked as Technical Apparel Development Manager for a German apparel manufacturer. She has managed a corporate fashion department and worked as a teacher and translator in Germany as well. Catherine worked as a contractor for CS Frankfurt for a number of years and joined the staff in April 2007, assuming responsibility for the textile sector as well as the floor coverings sector in conjunction with the Domotex trade fair. 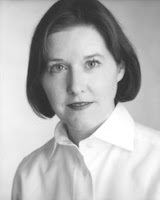 She is responsible for advising U.S. firms with regard to CS programs and services, planning and implementing U.S. product promotions in connection with major textile trade fairs in Germany, market research and industry outreach within her sectors as well as performing Gold Key and other services for clients. She is a member of the Textiles/Apparel Team and the Global Design Build team. I look forward to seeing you at Domotex!